I love my Immersion Blender. You actually told me about it years ago and now I don’t know what I did with out it. 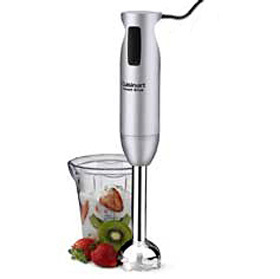 they have immersion blender and choppers comobs…like this. I use the chopper way more than the blender part. I also have an immersion blender/chopper combo and LOVE IT! I actually can’t imagine how I survived without an immersion blender. I also recently got an electric griddle and don’t think I could live without it. I am going to buy that! It is so cool! I don’t use either right now and I think it would make my life easier in the kitchen! 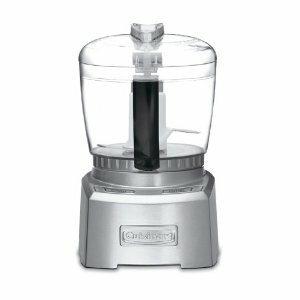 An immersion blender/chopper combo – what a great idea! The one that you suggested is under $50 so it is a great deal too! I was hoping the zester would be on the list! The food processor is on top of my list but I also love some quirky ones like: garlic press (which seems to be out of favor these days with most chefs), apple slicer (I use this almost daily when making apple slices for my toddler), and orange/lemon squeezer (it is not like yours, but the classic dish with ridged, upside-down cone over it). When my son was an infant I was recommended to buy an immersion blender but never got around to it – and since I already had the food processor figured it would be duplicating my utensils – but I am sure it is super cool. The two kitchen items I can’t live without are also the garlic press and the lemon squeezer! I use them both a few times a week!